A+ Reliable Home Inspections, LLC believes there are ten important questions you should have answered before you select your home inspector. If you have questions in addition to the 10 listed below, please click on the email above and we will address those as well. Make sure to include a return email address and name so that we can respond to you. The inspector should be able to provide his or her history in the profession and perhaps even a few names as referrals. Newer inspectors can be very qualified, and many work with a partner or have access to more experienced inspectors to assist them in the inspection. A+ Reliable Home Inspections has performed over 1000 inspections for East Tennessee home buyers. Related experience in construction or engineering is helpful, but is no substitute for training and experience in the unique discipline of home inspection. If the inspection is for a commercial property, then this should be asked about as well. 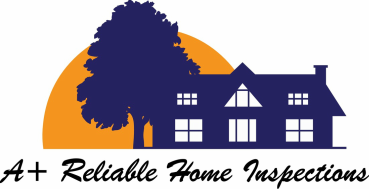 A+ Reliable Home Inspections specializes in only residential home inspections. Some inspector associations and state regulations allow the inspector to perform repair work on problems uncovered in the inspection. Other associations and regulations strictly forbid this as a conflict of interest. We do NOT perform any repairs which ensures an honest and accurate report for you. The average on-site inspection time for a single inspector is 1 ½ to 3 hours depending on the condition and size of the property. Anything significantly less may not be enough time to perform a thorough inspection. Additional inspectors may be brought in for very large properties and buildings. A+ Home Inspections allows ample time for each inspection to do a thorough job. Most inspections take 2-3 hours. Costs vary dramatically, depending on the level and type of inspection, the property floor area, property geographical location and the inspector’s qualifications. A typical range might be $300–$700, but consider the value of the home inspection in terms of the investment being made. Inspection cost does not necessarily reflect quality. We are very competitive with our rates and feel we provide the best service at an affordable price. Ask to see samples and determine whether or not you can understand the inspector's reporting style and if the time parameters fulfill your needs. Most inspectors provide their full report within 48 hours of the inspection. We provide your report within 24 hours in an easy to understand and clear report. This is a valuable educational opportunity, and an inspector's refusal to allow this should raise a red flag. Never pass up this opportunity to see your prospective home through the eyes of an expert. We encourage you to attend the inspection so that we can show you any possible concerns. One can never know it all, and the inspector's commitment to continuing education is a good measure of his or her professionalism and service to the consumer. This is especially important in cases where the home is much older or includes unique elements requiring additional or updated training. A+ Home Reliable Home Inspectors continually seeks on going training and education on an annual basis.